There are thousands of WordPress plugins out there, many of which do valuable thing. Many more of them are redundant, out of date, overly expensive, or otherwise valueless to someone running a serious blog. That’s why I’ve compiled this list. The plugins listed below are carefully chosen for their potential to benefit your site’s search ranking. Choose carefully, however! Some of them are redundant alternative choices, of which you should only pick one. Additionally, you don’t need to install all of them. In fact, you shouldn’t, because too many plugins will slow down your site. As you’re probably aware, a fast site is a search ranking factor, so anything that slows it down is detrimental. 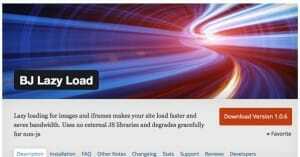 The idea is to strike the right balance between utility and value in plugins, and site speed. These are the crucial plugins that pretty much every WordPress site should have. If you don’t have them, you better have a pretty good reason not to. I would venture to guess that every major WordPress blog out there has at least half of these installed. Jetpack for WordPress – This plugin gives you a lot of basic features included in WordPress.com sites, including basic analytics, security, and some other features. It can be replaced by several other plugins on this list, however. Akismet – This plugin is comment spam filtering at its best. It uses cloud-based machine learning to identify new spam techniques as they are created and helps block them on every WP blog using it. Sucuri Security – Sucuri has a number of different related plugins, all of which help protect your blog from hacking or unwanted intrusion, DDoS attacks, blacklists, and a host of other threats. W3 Total Cache – The best of the caching plugins around, W3 Total Cache helps minimize the number and size of the files sent to each user, to dramatically speed up loading of each and every page on your site. WP-Optimize – Not to be confused with SEO, WPO cleans up the PHP and SQL code and databases involved in a WordPress installation. It removes drafts, culls spam, cleans up trash, and filters trackbacks and pingbacks at your discretion. Login Lockdown – This plugin is a simple login filter that records the IP address and timestamp of every unsuccessful login attempt and issues progressively longer timeouts to prevent brute forced logins. BJ Lazy Load – This plugin delays the loading of various page elements, including images, thumbnails, gravatars and iframe content, to speed up the initial load times of your site. Google XML Sitemaps – A sitemap is the primary way Google can identify and catalog the pages on your site, so creating one in the format Google prefers is ideal. This plugin creates and maintains this sitemap for you. Fancier Author Box – Essential for multi-author blogs, this plugin spruces up the author box so it can have a lot of additional detail and a list of recent posts by that author, among other things. Yet Another Related Posts Plugin – The best of the related post plugins, this plugin shows thumbnails and snippets from related posts other posts on your blog, as well as allows you to run sponsored native ads for a bit of a payday. These are all combined, total SEO packs and as such are mutually exclusive. They all do more or less the same things, which you can check out on their official pages. They’ll be the backbone upon which your WordPress SEO is built. 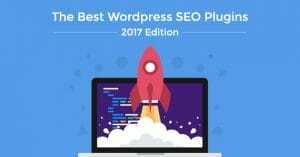 WordPress SEO by Yoast – Often heralded as the best SEO pack for WordPress, Joost is a genius when it comes to making plugins and there are many more where this one comes from, including video SEO, Google analytics integration, and a whole lot more. All in One SEO Pack – This is the best alternative to Yoast’s plugin available today. It’s not as robust, not as extensible, and not as fast, but that’s what you get when you’re second best. Platinum SEO Pack – This was formerly one of the best alternatives, but has been left in decline. Still, it’s a decent alternative to All in One, as long as you can get it to work. SEO Ultimate – The current third best overall SEO pack, there’s nothing really wrong with it, it’s just not quite as good as the rest. Give it a shot if you don’t like the others, for some reason or another. Analytics apps don’t help your SEO directly, but they give you valuable data you need to improve your site over time. Which suite you choose is up to you – there are more beyond just the ones I listed – but these are some of the best. Google Analyticator – Google analytics is the number one analytics suite out there, so of course there are numerous plugins made to integrate it with WordPress. This is the best of those plugins, though others like the Yoast version come close. kStats Reloaded – One of the oldest analytics apps was StatPress, but it was abandoned. kStats sprang up to replace it, and has been in beta for quite a while. It seems to be abandoned, but it still works for now. W3 Counter – This one is unique amongst most analytics programs because the stats it gives you are real time. It constantly refreshes to give you the most up to the minute data on your site and your audience. 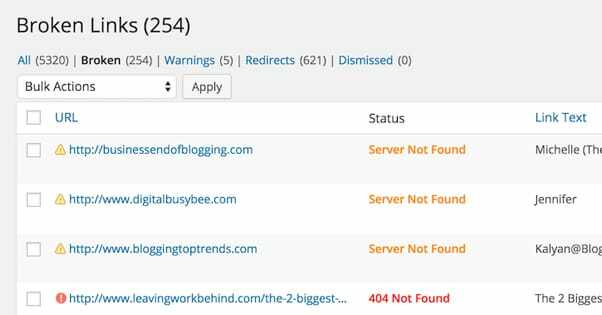 Analytics360 – Note: This plugin may be dead, as it was removed from the WordPress repository in early March. This is a unique plugin made by MailChimp. It is designed to integrate data from Google Analytics and MailChimp to provide a data set you can’t get anywhere else. 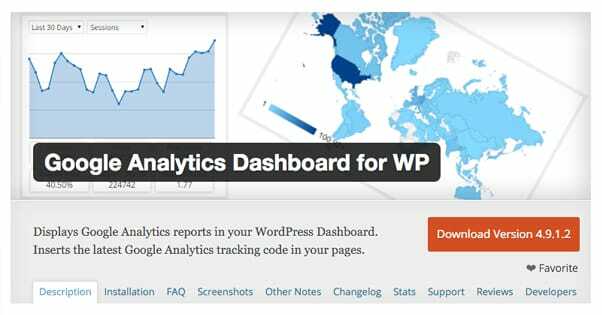 WP Statistics – This is one of the most comprehensive all-around audience analysis tools for WordPress, comparable even to Google analytics. Give it a shot; you might be surprised at what you learn. Google Analytics Dashboard – Google analytics is notoriously difficult to get the most out of, simply because of how much data is buried in places you might not think to look. This plugin gives you on-dashboard graphs and data sets to show you everything you need up front. These are plugins you can use for regular maintenance to help keep your WordPress site in tip-top shape at all times. They help keep security tight, data backed up, and various SEO issues that develop over time solved. P3 Profiler – This is a plugin you install once and run, then remove for six months or so. It scans your site for plugins and identifies the ones having the biggest performance hits. You can then choose to remove them or keep them, or even optimize them if it’s possible to do so. Broken Link Checker – This is another temporary install plugin. It scans your site and checks for the presence of links, and checks to see if those links work and where they lead. It will show missing images, redirects, and 404 pages as well. Very valuable. Backup Buddy – This is a plugin that backs up the data and structure of a WordPress site completely. If you want a data backup or if you’re migrating to new hosting, it’s incredibly valuable to make a total site backup without hassle. VaultPress – This is an alternative to backup buddy, but it’s more designed for active backups rather than site migrations. You can set daily scans and easy file repairs, as well as automated backups on a schedule. iThemes Security – This is another huge security suite, comparable to Securi above. It’s also one of the best, so choose one or the other per your own security criteria. These plugins are all alternatives to the basic WordPress comments system. You’re free to keep using the default comments if you like, but you can also bypass a lot of the hassle by using something with a bit more functionality to it. Comment Redirect – This plugin uses the basic comments system and adds a redirect when a user makes their first comment on your site. You can choose to send them to a specific post, a squeeze page, a landing page, or even a social media like page. Subscribe to Comments Reloaded – This plugin adds a subscription system to comments, so a user can register to be notified if their comment has a response. Facebook Comments – This removes the basic WordPress comments system and replaces it with Facebook’s comment system, which uses Facebook integration to moderate comments and control sign-ins. It’s even SEO friendly these days. Disqus – At this point pretty much everyone has some experience with the Disqus comments system, so I probably don’t need to say anything more. CommentLuv – This uses the basic WordPress comments, but adds the ability for other CommentLuv users to automatically share links to recent posts they have made on their blogs. Useful if your community is full of similar site owners, but not useful if you want to completely avoid link spam. This is just a selection of the dozens of social media integration plugins out there. We’ve written a more detailed list of several other options before, as well, if you want to check out more information. Simple Social Icons – This is one of the most basic social icon packs available for WordPress. If you don’t like it, don’t worry; there are seriously tons of these things out there, just find one you prefer. Monarch Social – A social sharing plugin that has a lot of options, including manual editing of share counts to counteract Twitter’s removal. However, it’s not available as a stand-alone plugin, you have to buy it along with a pack of other plugins and themes. Pinterest Pin It – This is a plugin that adds the Pinterest pin functionality to all of your images. When a user hovers over the image, the pin button appears, and allows them to pin your post using that image. Better Click to Tweet – This plugin allows you to set up specific tweets and flag them with specific quotes. The user can then tweet the post using the message you composed, complete with a custom shortlink and hashtags if you desire. Social Locker – This plugin allows you to hide content behind a lock. The user has to “pay” to access the content, in the form of a Twitter follow or Facebook like. If you choose to run a storefront from your blog, you can do it with these plugins. The alternative here is to use a more dedicated ecommerce platform, but that can get messy to manage and potentially expensive. Plugins are the way to go. WP eCommerce – This is the default top tier ecommerce plugin for WordPress. It comes with all sorts of options, including broad integration with other plugins, secure checkouts, a ton of payment options, and custom CSS/HTML. WooCommerce – This is the primary alternative to the above plugin. It’s owned and maintained by the company that also owns WordPress, Automatic. Consider it a premium variation to the free WP eCommerce. Easy Digital Downloads – This is a system set up for selling and distributing online content without needing to worry about the issues relating to physical content. Sell ebooks, software, and other digital products quickly and easily. Cart 66 – This is one of the biggest alternatives to other WordPress commerce plugins. In this case, it’s excellent for middling to large businesses. Some small businesses will find it a bit expensive. IgnitionDeck Crowdfunding – This is a particular crowdfunding platform much like Kickstarter, but for your blog. Use it to sponsor single large projects. These are the remainder of the best plugins I’ve identified over time. They’re all pretty good, but they don’t fit in any one nice category like the above. Check them out. WP Greet Box – This plugin shows a greeting message to visitors the first time they arrive on your site. You can customize the greeting according to the referrer data the user carries, changing it based on the site they came from. What Would Seth Godin Do – This cheekily named plugin is a similar message pop plugin. It doesn’t differentiate between referrers, but rather provides different messages based on whether the user has visited before or not. Gravity Forms – This is one of the top-tier form builders out there, allowing you to create custom opt-in forms and other registration forms with a simple drag and drop editor. Foobox – This lightbox plugin is designed for holding image, video, and other media in a lightbox that is specifically made for responsive display. In other words, guarantee your media is visible on both desktop and mobile devices. WP jQuery Lightbox – This is a customizable jQuery lightbox designed for lightness and speed, rather than robust features like its competitors. WordPress Landing Pages – WordPress usually has trouble with landing pages, so this gives you the functionality to create completely customized pages for users to land on. OptinMonster – If you don’t like Gravity Forms, you’ll like this; they’re the two best form builders in existence today, easily. Custom Sidebars – This allows you to customize the sidebars or footers of your site, regardless of what theme you’re using. As long as the theme has those fields, this will customize them for you. SEO Smart Links – This is a gray hat automatic internal link builder. The fact that it’s automatic means it can occasionally draw odd connections, but most of the time it’s just fine. SEO Rank Reporter – This plugin allows you to plug in a handful of keywords and will run Google searches for those, finding what rank your site is at the time. Refreshes every three days. EditFlow – This is an editorial workflow plugin that helps you manage a team of collaborators for your blog without a deeper process management app. What Plugins Should I Install on a New WordPress Site? Thanks for these! I had a lot of them already but theres quite a few good ones here. I can also recommend “Leverage Browser Caching”, “Merge + Minify + Refresh”, “Minify HTML”, and “Optimus”.